First, a requirements catalogue is developed that comprises certification controls that have to be fulfilled by the cloud services as well as recommendations for control fulfillment and assessment. The requirements catalogue is based on the GDPR and considers international standards such as C5 and EuroPrise. Second, we develop a certification system that contains rules, procedures and management for carrying out the certification. As required by the GDPR, the certification scheme will be send to the Deutsche Akkreditierungsstelle (national accreditation body for the Federal Republic of Germany) for accreditation. The requirements catalogue will be published as DIN Specification (DIN-SPEC). A DIN SPEC is the fastest way to turn research into a marketable product. 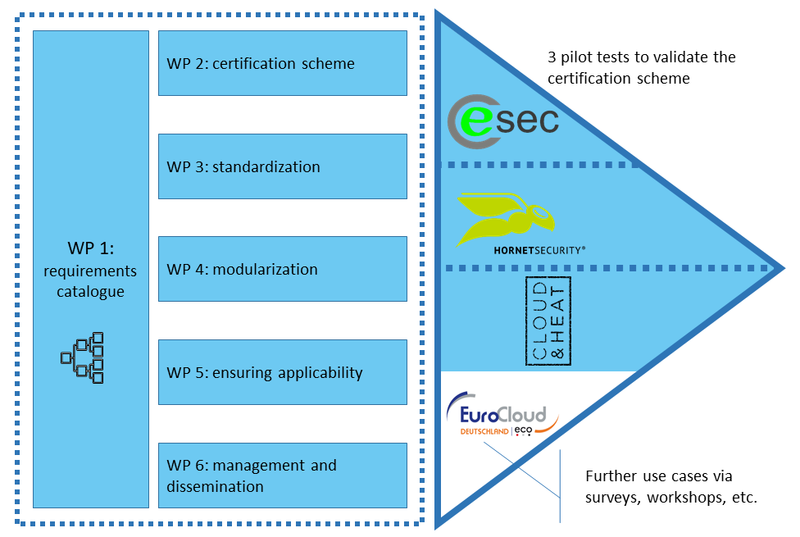 The AUDITOR certification will be tested in three use cases with cloud service providers to validate research findings and ensure practical applicability. Autumn 2019: Completion of pilot tests.